BOSTON, April 24 (Reuters) - Three handwritten notes found by the body of former New England Patriots star Aaron Hernandez following his suicide in a Massachusetts prison cell last week were handed over to his family on Monday, an official said. The order by a state judge in New Bedford, Massachusetts, to turn over the notes to the former National Football League player's family came on the same day as Hernandez's funeral, which was held in his hometown of Bristol, Connecticut, a spokesman for the Worcester County district attorney's office said. Some of the notes "could be considered suicide notes," Daniel Bennett, Massachusetts' secretary of public safety, told reporters. The notes, found near a Bible, were handed over in full, the district attorney's spokesman said. Officials have not released the notes publicly or provided details on their contents. Hernandez was found hanged by a bed sheet in prison last Wednesday in what Massachusetts officials have ruled a suicide. Hernandez had been a rising star with a $41 million NFL contract when he was arrested in June 2013 and charged with murdering an acquaintance in an industrial park not far from the Patriots' stadium. He was serving a sentence of life in prison without possibility of parole after being found guilty of that murder when he hanged himself, according to state officials. Hernandez's death occurred just days after his acquittal of a separate 2012 double murder. "We wish to say goodbye to Aaron in a private ceremony and thank everyone in advance for affording us a measure of privacy during this difficult time," the family said in a statement ahead of the funeral. 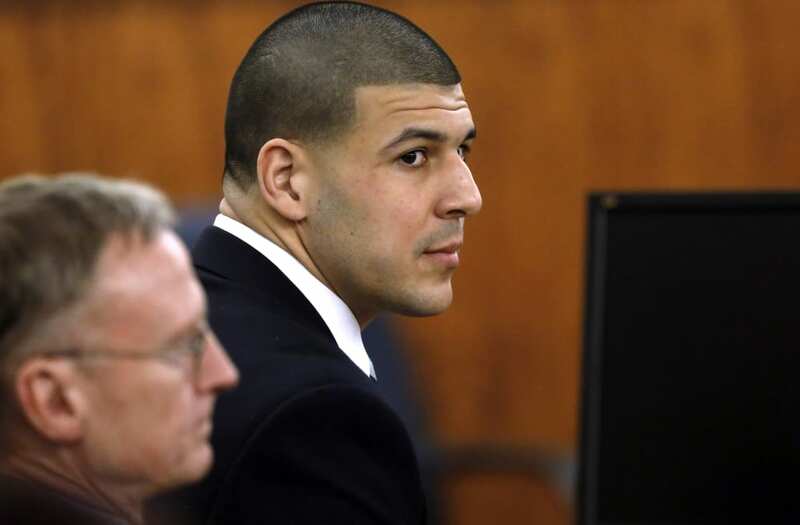 The lawyer who successfully defended the 27-year-old former athlete in the double-murder trial has vowed to conduct his own investigation into the circumstances of Hernandez's death at the Souza-Baranowski Correctional Center in Lancaster, Massachusetts, west of Boston.